This guide will explain how to unlock the secret character, Bridger. To unlock Bridger, the first thing you will need to do is pickup the ‘Bounty Hunter’s Payment’ lore item on the mission, “Join or Die”. 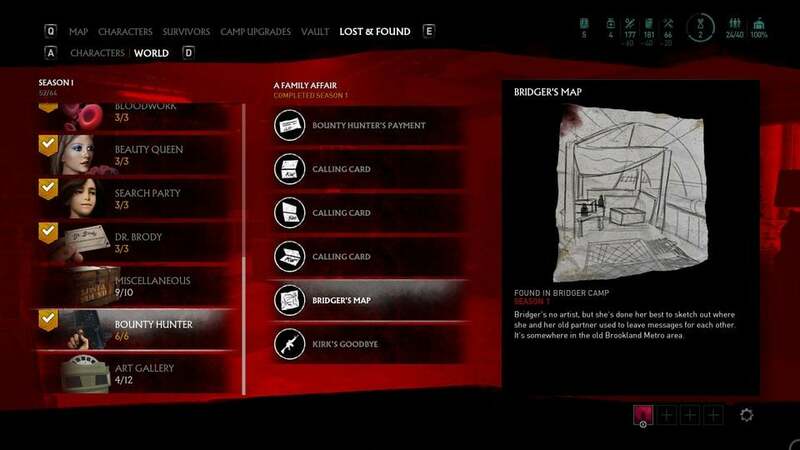 The key to unlocking Bridger is to complete the Bounty Hunter quest-line, where you will search the various maps you’ve completed in order to retrace the events that took place before you met Bridger, who you meet after escaping the Brigade’s assault. You will have to scour a multitude of different maps in order to find these lore items and to unlock her as a playable character. The first step in this is to pickup a lore item in the mission, “Join or Die” where you set out to assassinate Hurst. You are going to need to make your way through a majority of the map until you eventually reach the finale located at the Lincoln Memorial. After hacking the laptop in order to open the panic room that Hurst is located in and fighting off the horde of enemies attacking you, head into the safe room that he previously occupied after killing him. Inside, on the shelf behind the desk, you will find a lore item entitled, ‘Bounty Hunter’s Payment’. This will kick things off. Keep in mind while some of the lore items order doesn’t matter, you are required to pick this one up first. Skipping this step will cause the other items not to spawn. After you pick up the item you can either complete the mission or leave early; it does not matter after you have collected it. This applies to every single lore piece. After picking up the Bounty Hunter’s Payment, head back to the Eckington Camp and talk to Bridger. Then, travel to “Hell or High Water” to find the second quest item. Once you have the Bounty Hunter’s Payment, you are going to want to return to Bridger. She is located in the Eckington Camp near where Caleb’s truck is parked. Head to the balcony she is leaning on and walk up to her. She will have a voice line that hints towards what you should do next. If she doesn’t say anything other than her stock lines don’t worry; you can still complete the quest to unlock her. Afterwards, go back to the main menu and head over to the ‘Lost & Found’ tab. Scroll down and find the Bounty Hunter list (it should say 1/6). The payment has a description for three assassinations, and hints towards their locations. You will need to find three calling cards that are located on the hunter’s victims. They are: the Georgetown Sniper, Tiny Saul, and Gary. You can collect these in any order, but we will do this in the easiest order to obtain them. The first one is the Georgetown Sniper as it gives the easiest hint to his location: Hell or High Water (this is the only story map that takes place in Georgetown and also spawns lore items, as defense missions will not have any). Head through the map normally and keep in mind that you can complete these objectives on any difficulty. You will have to make your way through almost the entirety of the map until you reach the third and final hideout that The Family is located in. This is where you find the water purifier parts inside of the laundromat. Just in front of their camp in the center is a bus stop, and the first calling card will be located to the left of it, and to the right of one of the gates that leads inside to their camp area. Now that you have this calling card, we’ll be heading over to Listening In. The second calling card is on the map Listening In. 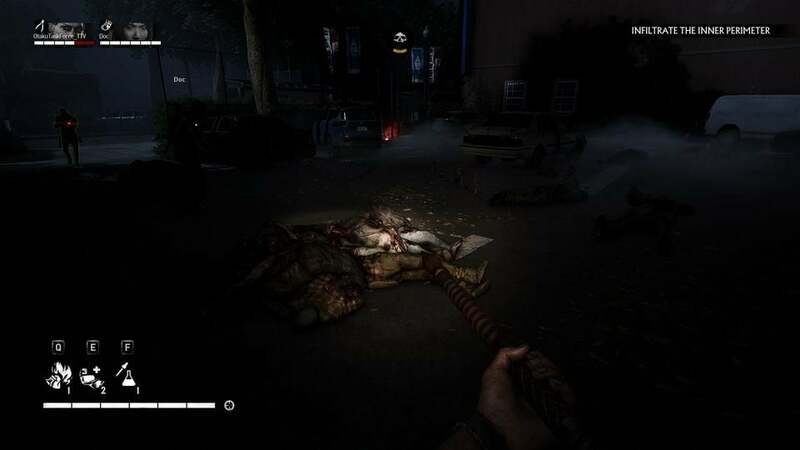 Before the apartment that leads out to the first area with bandits is a parking lot that has a pile of corpses in it. Tiny Saul’s lore item is there, near the car that you use to jump-start the power in order to open the gate. This next lore item is a tad tricky since there isn’t too much of a hint to it. Tiny Saul, who was killed for stealing from the Brigade, is found on Listening In which is the map you steal the radio from The Family. Head to that map and make your way through normally. Now, early on this mission you can get one of two paths: either the forklift will open the gate and you head through an office area, or the lift breaks and you are forced to climb down onto the highway. If you get the path that takes you down to the highway, you cannot get the lore item. You simply need to restart. Fortunately, this happens early on in the map. After opening the gate with the forklift, make your way to the office. Take out to two snipers on top of the diner and jump down to the street level. On the left side of this area is where you need to progress normally through the map if you don’t open any shortcuts, so it should be easy to find. In this parking lot, on a pile of bodies is the calling card for Tiny Saul. Collect it, and you are ready to find the final one. Now, we head to “Doctor’s Orders”. Now, for the final calling card. This one is located on Doctor’s Orders and is the final one you get before you move on to the next and final step of this quest. Gary’s is the hardest one to get, but even then it isn’t too bad. The difficulty was actually finding it since the hint the game gives you can be a red herring. Gary, who was killed for bringing contraband back to the base, implies that you can find him on “Join or Die” since you go to the Brigade’s base there. However, the lore item is actually found on “Doctor’s Orders” which The Brigade has taken over as another base inside the mall. 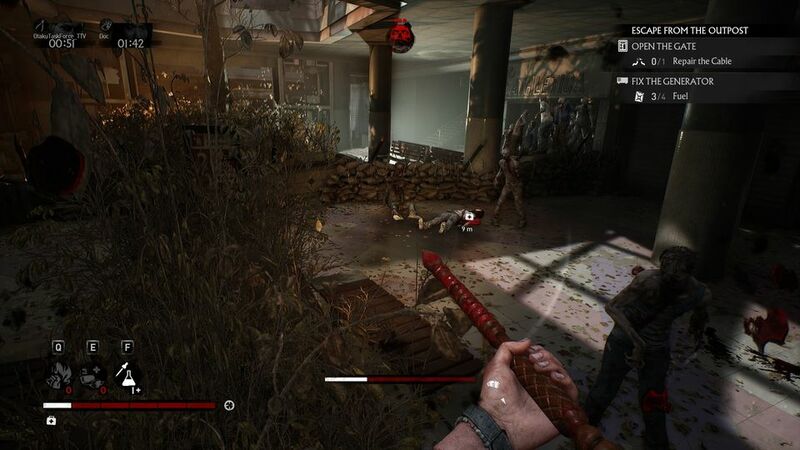 As usual, make your way through the map, heading into the mall and grabbing the medical supplies. After gathering all of those you can head to the next section, using a forklift on the second floor to get to the next part of the mall. This area, where you must open the main entrance’s shutters in order to escape, is where you’ll find the final resting place of Gary. Head down to the first floor and to the back area, and behind the escalators is where you’ll find a slumped over corpse with the final calling card. 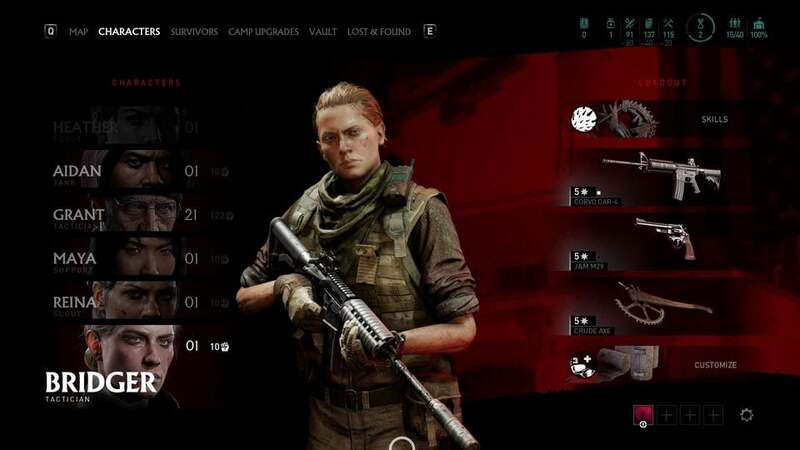 Once you have taken the last calling card, double check in the main menu to make sure you have all of them. You should have the Bounty Hunter category at 4/6. Once you are sure you have all three calling cards, it is time for the final part. Go back to Bridger and talk to her again. To the left of her is an office and inside on the desk is a lore item. Pick it up and head to the Last Stop where you will find the final lore item, labeled ‘Kirk’s Goodbye’. After gathering the calling cards for the Georgetown Sniper, Tiny Saul, and Gary, head back to Bridger in the Eckington Camp. Talk to her and she will give you another voice-line. Don’t worry, like earlier if you miss it or she doesn’t say anything, you can still complete the quest. Head to the office next to her and inside you’ll find an item called Bridger’s Map. Head out and check it out in the main menu. It is a crude drawing but shows exactly where you will find the final item. 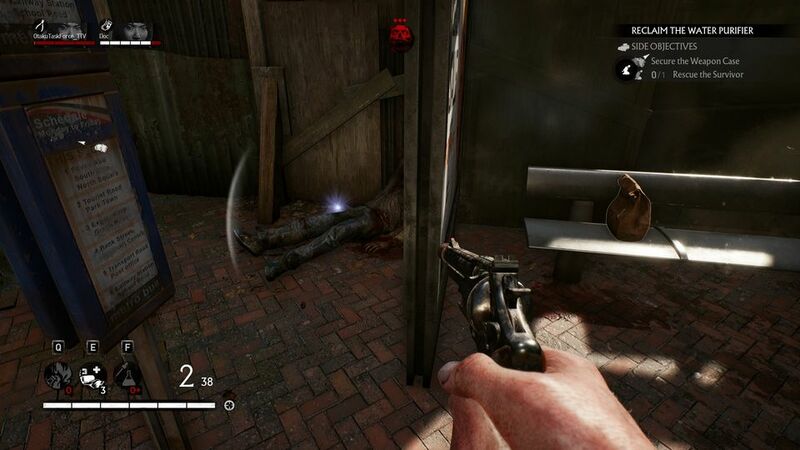 The mission you are heading to next is “The Last Stop” which are the tunnels you use to escape after surviving the attack on the Anderson Camp. Go to the Last Stop. It is also recommended that you do this with a friend for a reason that will be apparent later. 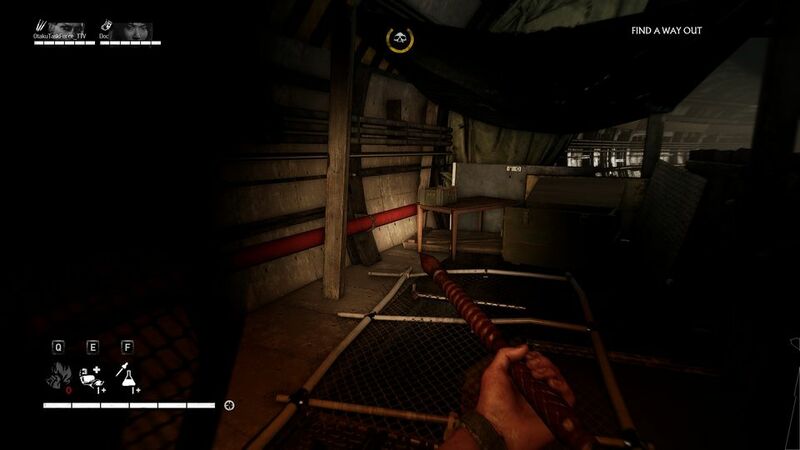 Make your way through normally (once again), passing the train after lifting it up and heading into the area with a locked door and a coded puzzle. You will need to flip certain switches around this area that coordinate with a doorlock in order to get to the next area. The switches are all around the place but be careful as there are trap doors scattered randomly and a plethora of zombies. Like “Listening In”, this area also has a route that instead of taking you the normal way, you are taken on a path that leads you through an emergency exit. If this happens, you cannot get the lore item. You have to restart. After opening the door drop down to the left and start heading towards the center of this subway stop, making your way through a water-infested area. You’ll see a bunch of camping tents and equipment laying around which gives hints that this was formerly the camp that Bridger resided in. Once you are in the middle of this camp, head left and you should eventually run into a fence and a locked door. The lock on this door is RNG, and can be something that you don’t have, and may require something like a lockpick, even if you only have a chemical kit. If you are playing solo and it is not the right lock for you to open, you simply have to restart. If you have someone with you however, you can merely have them leave, switch out for the appropriate item, and return back to your game. Make sure the host isn’t the one to do this or it cancels the level. If you have the correct kit though then you don’t need to worry about it. Open the door and head inside to a little area where you’ll find the final item: Kirk’s Goodbye. Once you’ve picked up this last item you have finally unlocked Bridger, the Tactician!